Cloth-to-cloth type. Cards contains ten 4-part press stud sets in nickel plated brass. 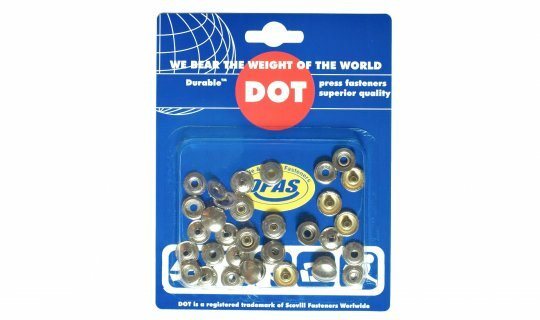 When superior snap action and holding strength is needed, Durable is the fastener to use. 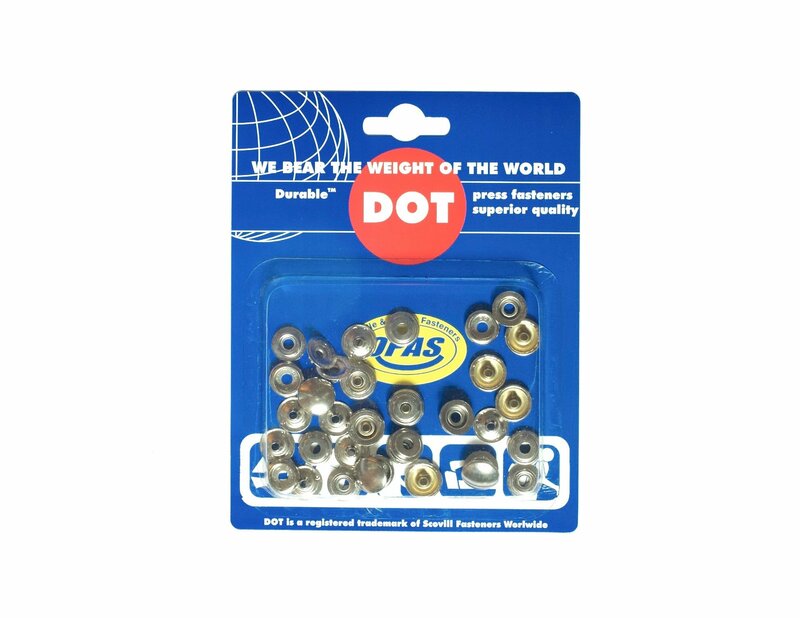 Self-piercing, so no pre-punching is required, the Durable fastener's heavy-duty construction assures a firm grip that will remain secure through years of use.